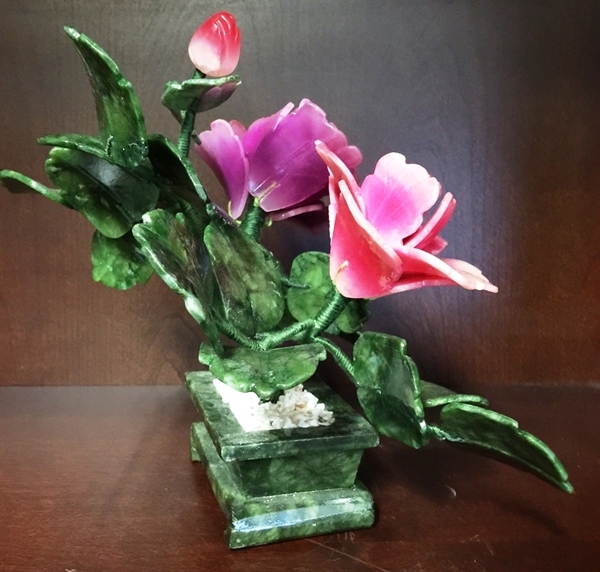 This flower is made of REAL jade. 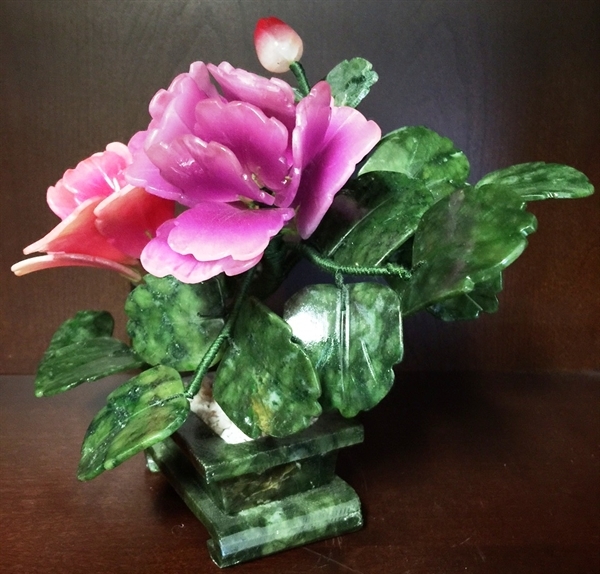 The leaves are made of Taiwan jade, dark green, as well as the pot. 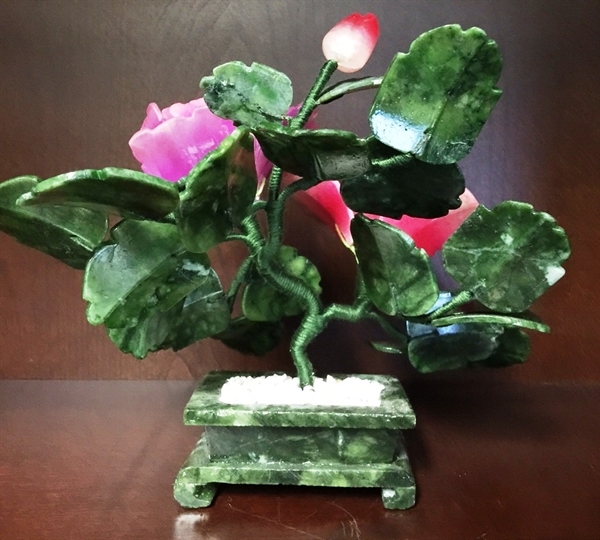 The branches can be bend over, so you can adjust it the way you like.